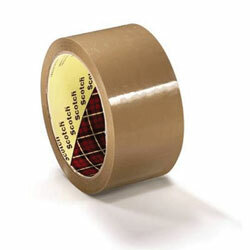 A general purpose polypropylene box sealing tape with a bi-axially orientated polypropylene backing and a consistent hot melt synthetic rubber-resin adhesive system. This proven construction assures a reliable performance in a range of environments and applications. 28 micron available in either clear or brown versions.